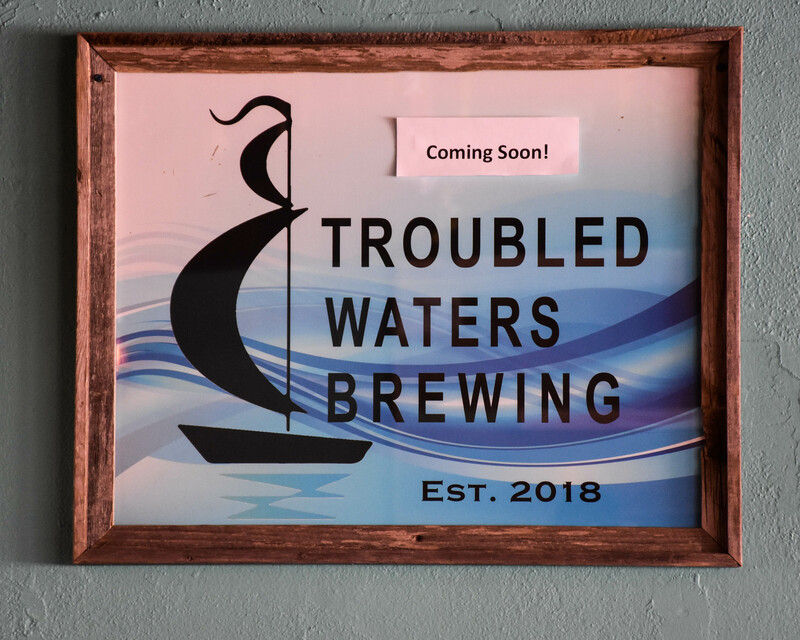 Troubled Waters Brewing will soon occupy the Copperheads Taphouse spot at 670 Main Street in downtown Safety Harbor. 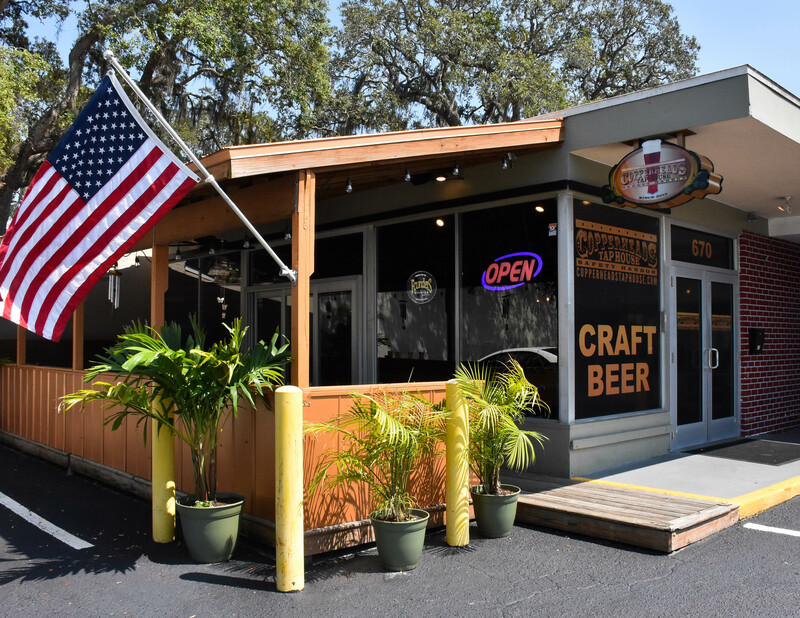 Crooked Thumb Brewery, Safety Harbor’s first, and only, craft brewery, is about to have some company. A father and son team has taken over the former Copperheads Taphouse at 670 Main Street. Kevin Shanks and dad, Steve Shanks, are in the process of converting the location into Troubled Waters Brewing. According to Kevin Shanks, the taphouse will remain open while they work on securing the permitting needed to install their three-barrel brewing system, and as they work towards a grand opening sometime this fall, the Shanks plan to put their years of experience working for breweries in Florida as well as their native Illinois to good use. 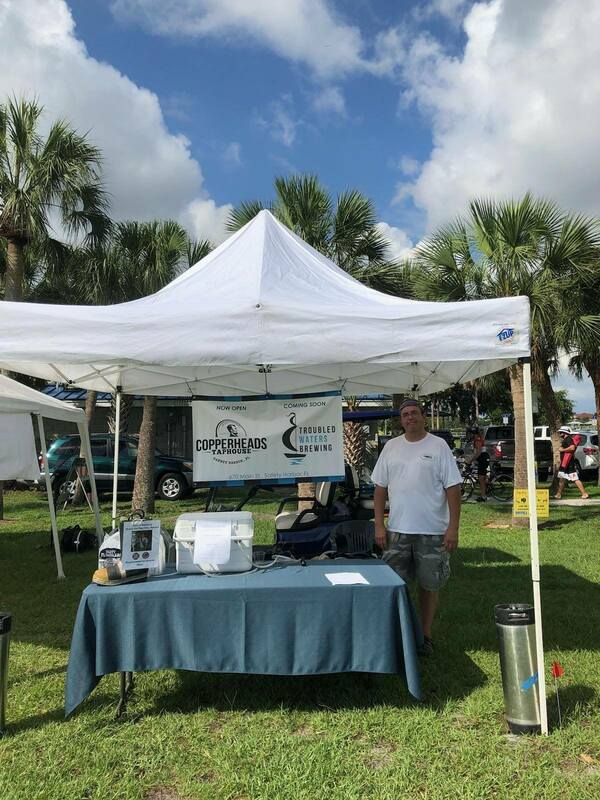 “I’m a longtime home brewer, and coming out of college I wanted to open a brew pub,” Kevin Shanks told Safety Harbor Connect last week. Troubling Waters Brewing owner Kevin Shanks. The opportunity to realize their dream came when the previous owner of Copperheads put the popular downtown venue, known for its live music and weekly run club meet-ups, up for sale. 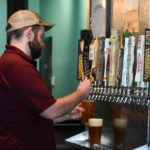 “He put it up for sale in February, and it coincided well with us looking for a spot for a brewery,” Kevin Shanks said. 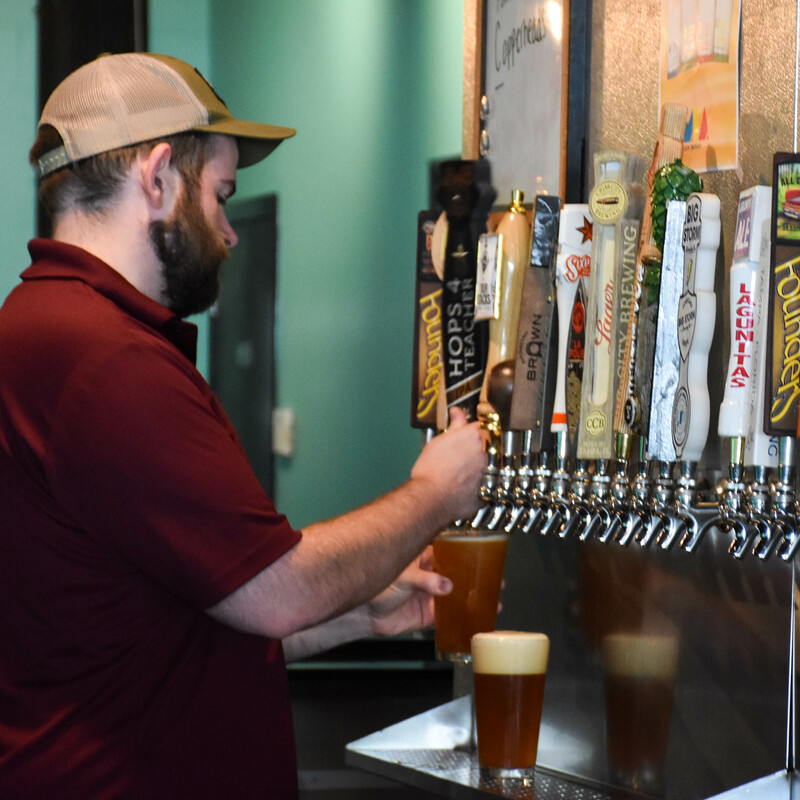 Due to their extensive industry experience, Kevin said he and his dad, who worked as a tour guide at the Tampa brewery before running Cigar City’s airport location, understand they’re getting into a highly competitive industry in one of the state’s most competitive markets for independent breweries. That’s why they plan to take a slow, gradual approach with the Troubled Waters brand. “We’ll probably eventually do some limited distribution at some bars and restaurants where it makes sense, make small batches for them,” Kevin said. 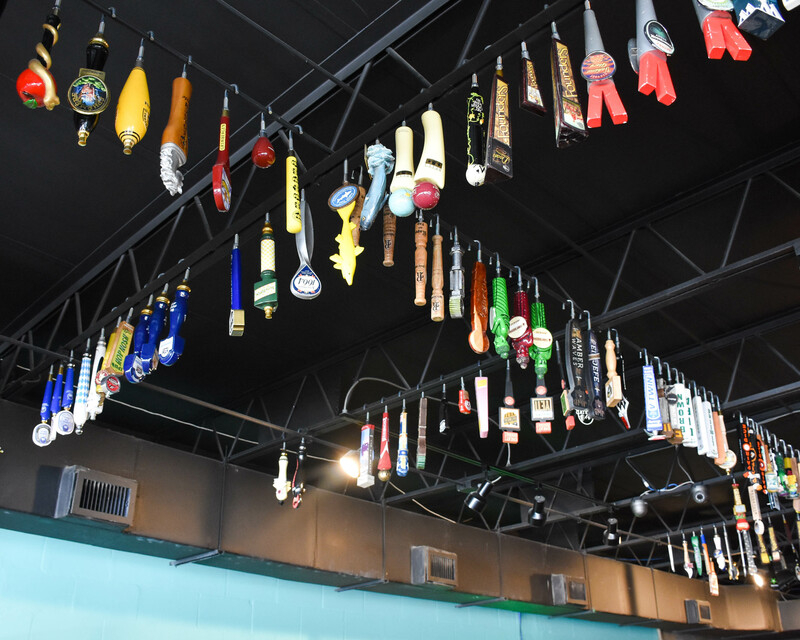 Shanks said they will have roughly 30 mostly local craft beers on tap as well as a few national and international offerings, including Dogfish Head 90 Minute IPA and Stepan Hefeweizen, made at what is considered to be the oldest brewery in the world. Shanks said they will continue to feature live music, but with smaller, more intimate sets rather than the raucous, loud acts favored by the previous owners. The Safety Harbor Athletic Club will continue to meet there every Wednesday evening, also. A cool Troubled Waters Brewing feature – dozens of tap handles hanging from the ceiling. While there are no plans to serve meals, Kevin said they hope to offer pressed sandwiches and other snack-type foods, and he said they encourage customers to order from the many restaurants in the area. As for the Troubled Waters label, Shanks said their beers would also offer variety, and they hope to add at least a half-a-dozen of their own creations to the lineup sometime this fall. “We’re super excited,” Kevin said. He said despite the anxiety associated with launching a new businesses, the father-son team is ready to navigate Trouble Waters Brewing in Safety Harbor. Troubled Waters Brewing coming soon to Safety Harbor. Wait! You didn’t think we’d leave without asking Kevin where the name of the brewery came from, did you?! 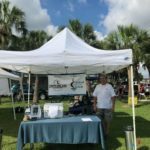 “Troubled Waters is kind of like a play on Safety Harbor,” he said, noting his dad, Steve, came up with the catchy tag after sifting through some old albums. “I wanted the name to have a Florida-esque feel, but not something too sunny or touristy. Something dark and edgy. Congratulations, Flip and family. And best of luck!